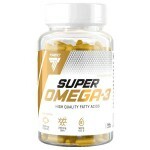 Each serving of Nordic Naturals Omega-3 delivers 690 mg of omega-3 fatty acids, generously fulfilling the expert-recommended dose of 500 mg per day. 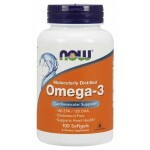 Omega-3s are essential for good nutrition and overall wellness. Since the body cannot produce these fats, they must be consumed through diet or supplementation. 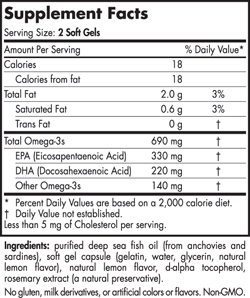 Purified deep sea fish oil (from anchovies and sardines), soft gel capsule (fish gelatin from tilapia, glycerin, water, natural lemon flavor), natural lemon flavor, d-alpha tocopherol, rosemary extract (a natural preservative). 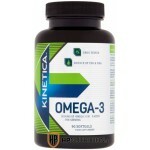 What Ingredients are in Nordic Naturals Omega 3? CLA (Conjugated Linoleic Acid) is one of..
Biotech USA:BIOTECH USA Q10 COEN..
OstroVit Mg + B6 is a dietar..
Now Foods, Cod Liver Oil, 650 mg, 250 So..